We’re bringing a ton of new stuff to NAB 2018, and we can’t wait to share it with you. This year, we’ll be at Booth C2330, delving further into audio over IP (AoIP) technology. Here’s what we’ll be showcasing. As we all know, Plain Old Telephone Service (POTS) lines are becoming more and more expensive. Many customers have told us that they wished they had a VoIP auto-coupler to use for television IFB, that could connect to their new VoIP infrastructure. 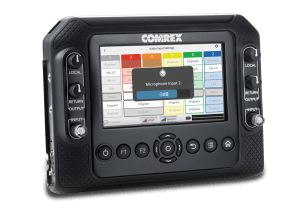 EarShot IFB brings the power of VoIP to IFB technology. A hardware-based system that delivers live audio feeds to callers, EarShot IFB is designed to provide telephone-based live studio program and IFB audio to field-based remote broadcasts, like TV ENG reports. Up to 30 callers can dial in and listen to the audio feeds, making it possible to replace multiple POTS-based couplers with one simple box. NAB 2018 will be the first chance to see EarShot IFB in person! Don’t miss it. Add us to your planner here. We debuted Opal, our tool that makes guest interviews a breeze, at NAB 2017. But Opal is now compatible with Safari, in addition to Chrome, Firefox, Edge, and Opera. 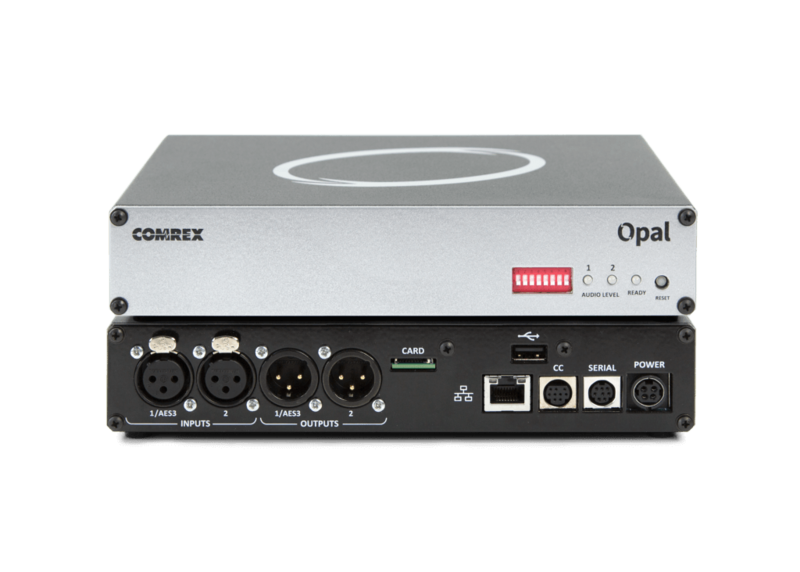 Opal is an IP audio gateway that enables guests to connect to the studio by simply clicking a link. It provides HD quality audio from consumer-grade equipment, like a cellphone or a computer with a microphone. It’s easy enough to use without a technical background, and most importantly, it sounds great. Since we debuted ACCESS NX in 2017, it’s been used for remotes all over the world – it’s even been used for a transatlantic broadcast! Now, ACCESS NX is in stock and ready to ship. ACCESS NX has been designed from the ground up to accommodate the substantial technological advances in IP audio transmission. ACCESS NX features an all-new hardware platform that is optimized for running CrossLock. Plus, a 5-inch capacitive touch screen, a new second mic input, phantom power, and an internal battery. ACCESS NX is compatible with our other IP audio codecs, including ACCESS Rack, BRIC-Link, and BRIC-Link II. Need more inputs? We sell an optional clip-on channel mixer for ACCESS NX that adds four mic/line inputs and headphone outputs. Some of what we’re introducing is so new, we’re not unveiling it til the show. And trust us, you don’t want to miss out on seeing this stuff in person. Make sure you remember to swing by our booth – add us to your planner here. We’ll also be showing LiveShot, BRIC-Link II, and VH2. LiveShot delivers high-quality, low-latency video and audio over a range of IP networks, and is capable of providing two-way media simultaneously. At only three pounds, LiveShot is versatile for a wide range of applications, even over challenging connections. BRIC-Link II is a low-cost, high-performance solution for audio-to-IP conversion. BRIC-Link II maintains superb audio specifications and hardware reliability, making the system perfect for studio-to-transmitter links (STLs) and other mission critical applications. A dual-line hybrid, VH2 connects two VoIP lines to a studio for individual broadcast or flawless conferencing. Plus, VH2 uses only VoIP phone lines, saving you money and increasing functionality. Interested in any of these products? Make sure you see them in person! Add us to your planner here. Want to schedule a demo at the show? Write to us at info@comrex.com and we’ll find a time.